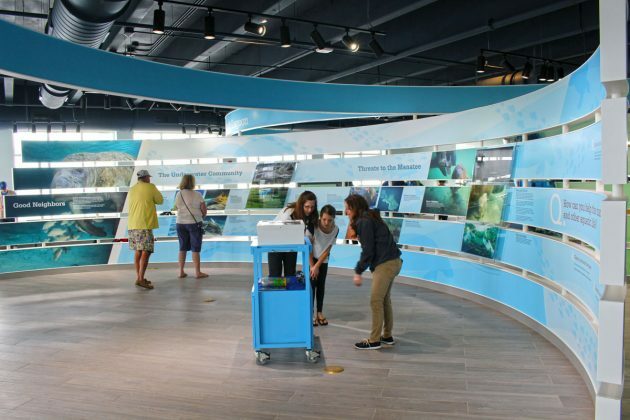 The main attraction of the FPL Eco-Discovery Center near West Palm Beach is watching manatees as they come to our salt and fresh water coast to stay warm. 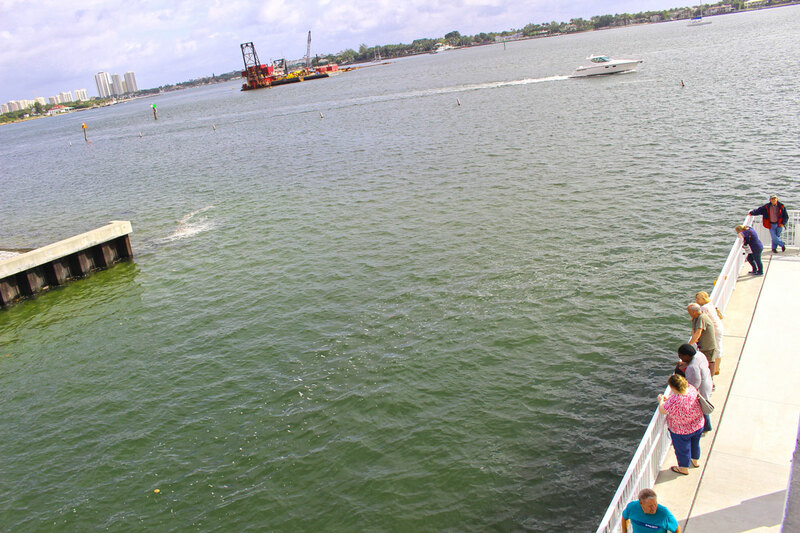 This is the best place to spot manatees up close and a great attraction in West Palm Beach! A day visit to the new Manatee Lagoon Center in the northern side of West Palm Beach is a rewarding experience. Who doesn’t feel impressed to see these large, fully aquatic, mostly herbivorous manatee herds that come to bask in the warm-water outflowing from Florida Power & Light Company? Watching these lovely animals whose fossil remains in Florida date back about 45 million years ago it is now better than ever at the Manatee Lagoon Center. 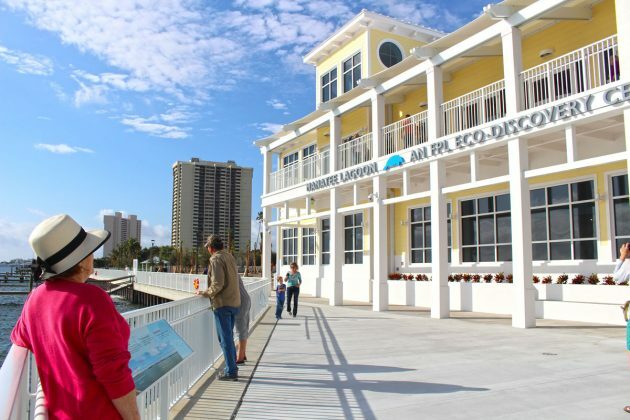 The FPL Eco-Discovery Center features engaging, hands-on exhibits for visitors to learn more about manatees, sometimes known as sea cows but unique creatures with a very large population in Florida. 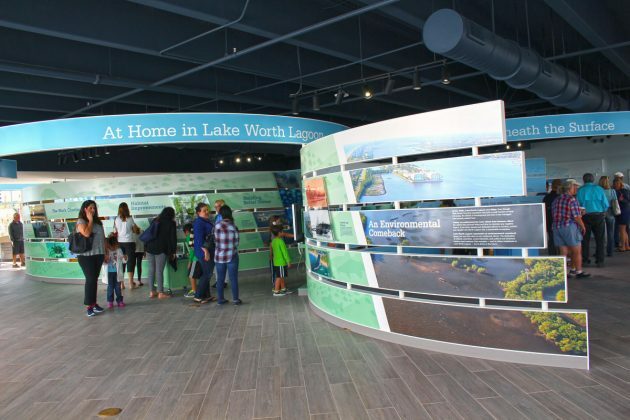 The FPL’s Manatee Lagoon Center is exceedingly beautiful with breathtaking views of the unique natural wonders of the surrounding Lake Worth Lagoon. Everything, from tropical blue colors, tall glass windows and the appropriate arrangements of each exhibit, provides an effort to give visitors the feeling as though they’ve stepped into a majestic natural world. 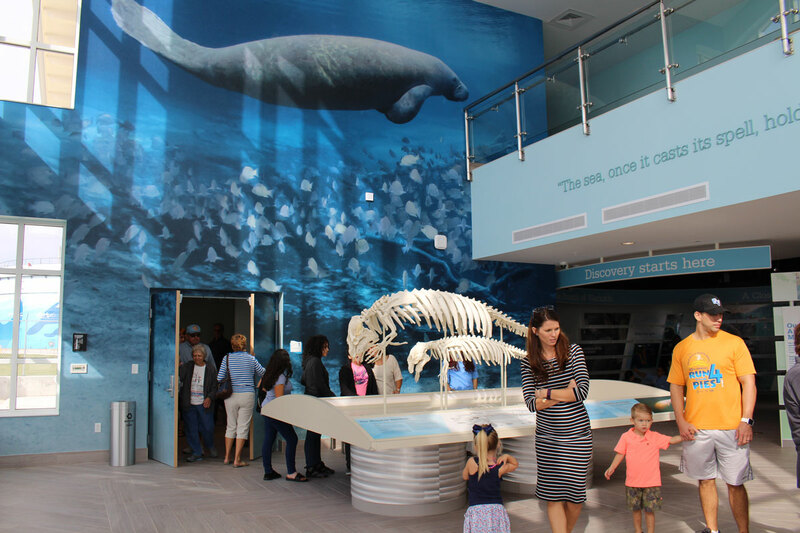 The 16,000-square-foot center offers visitors engaging opportunities to learn about manatees, exploring and discovering facts especially about the Florida manatees who are the largest of all the world’s manatees. 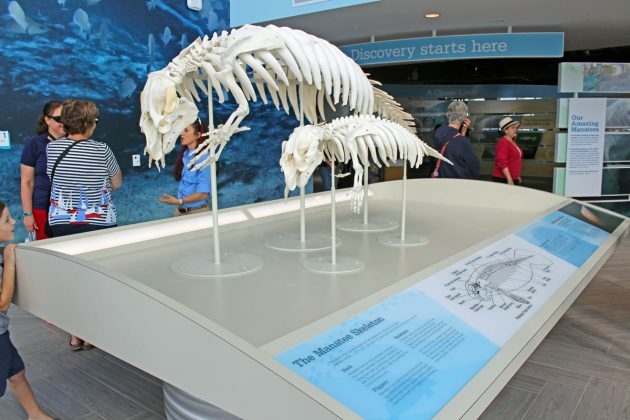 They can measure up to 12 feet from snout to tail, while being able to tip the scales at more than 1,200 pounds. 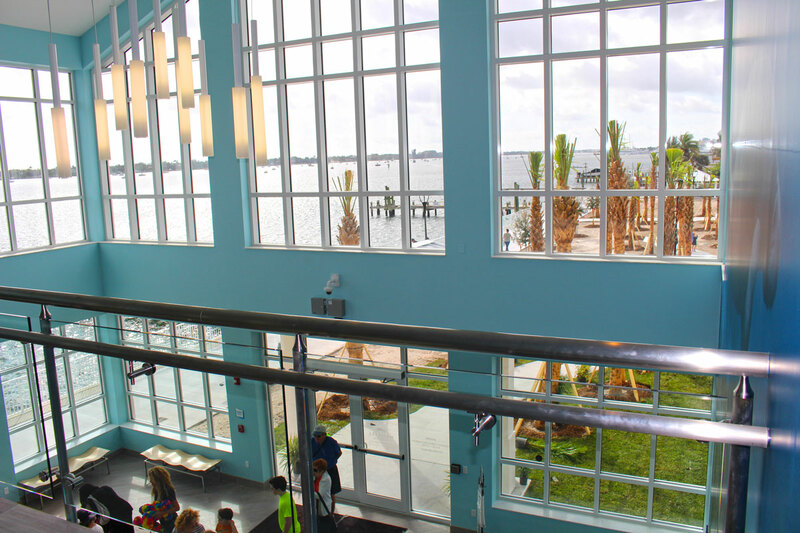 The main attraction of the FPL Eco-Discovery Center near West Palm Beach is watching manatees as they come to our salt and fresh water coast to stay warm. It is fun to see their little gray noses poke out from the waters and how they can flap their tails out on the surface almost shiftlessly. 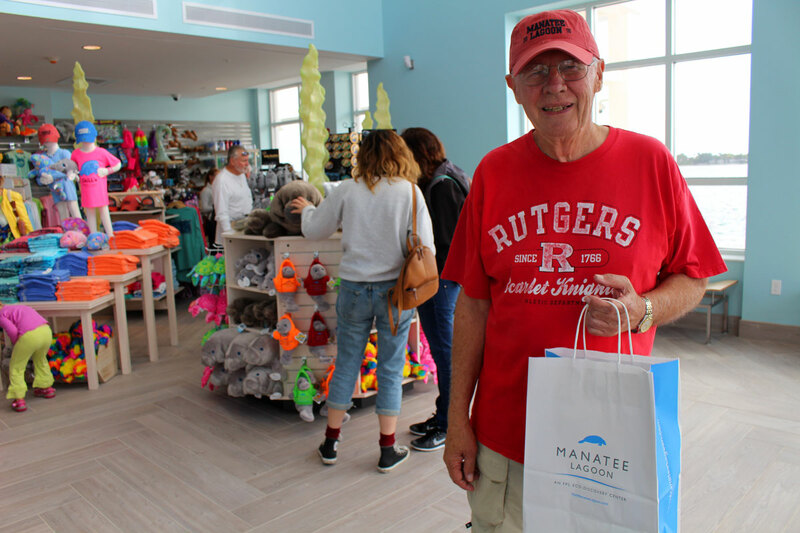 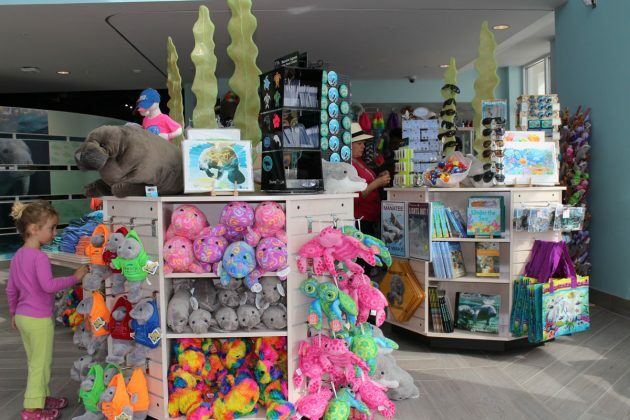 The Manatee Lagoon Center is a real engaging attraction with manatee murals, manatee skeletons and even manatee stuffed toys to buy at the gift shop. There are also interactive screens showing facts to visitors about the manatees and a Manatee Cam that can be accessed through the Center’s website to see if manatees are in the refuge. 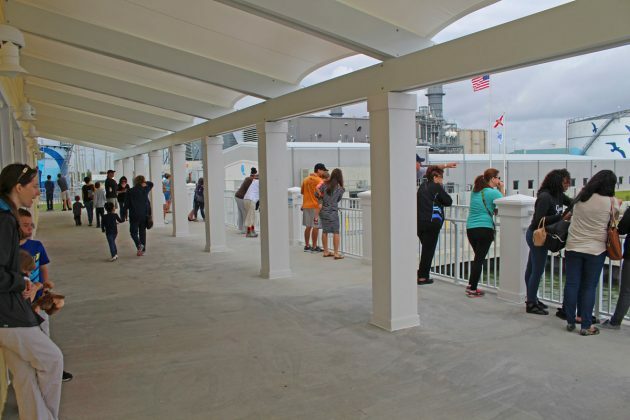 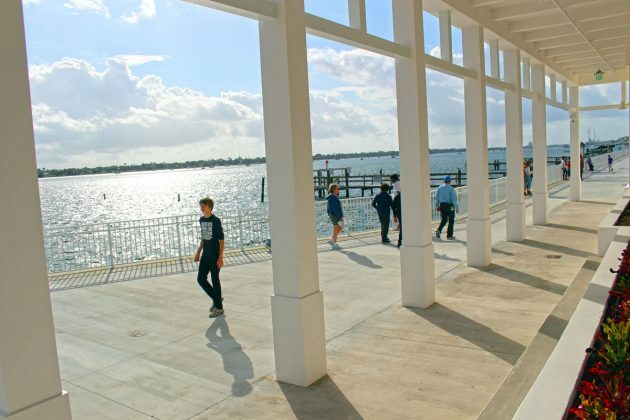 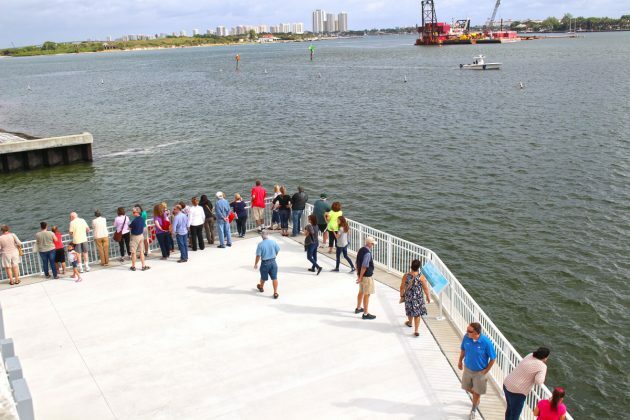 The two-story Manatee Lagoon Center facility features a very spacious observation deck with stunning views of the Lake Worth Lagoon. 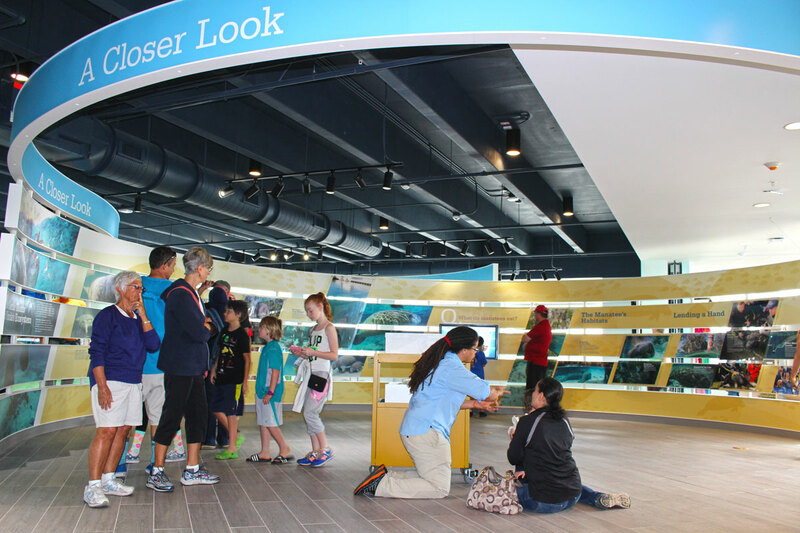 Its educational attraction stands to play a significant role in raising awareness about our gentle giants. 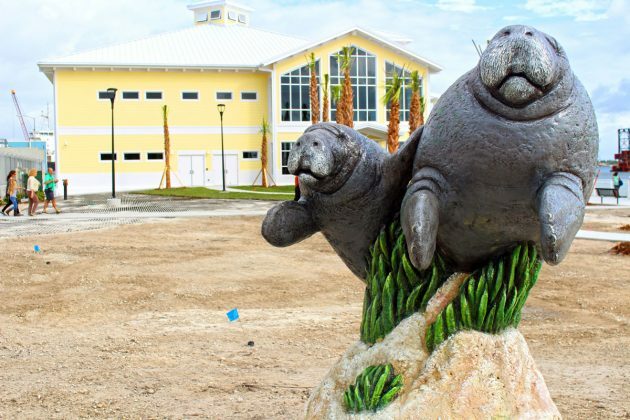 At the entrance there’s a manatee and calf sculpture crafted by Florida artist Chris Dixon that creates a backdrop for family photo ops. 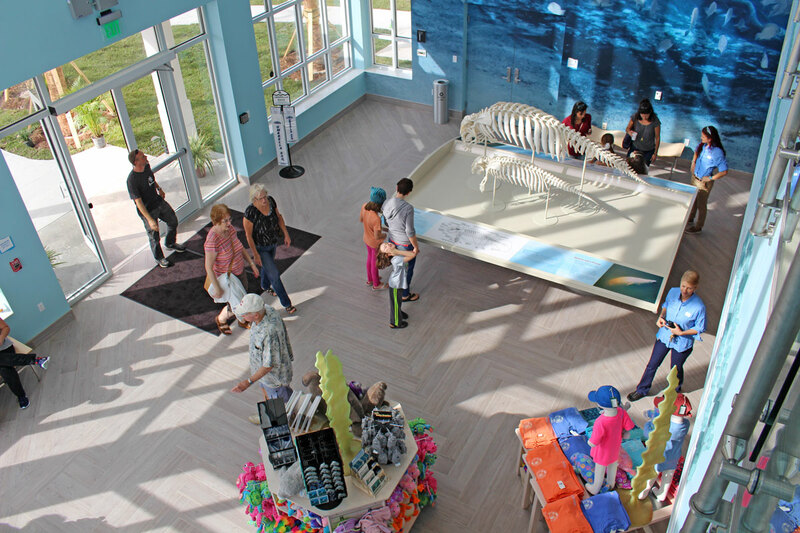 Inside, two manatee skeletons adorn the building’s lobby. 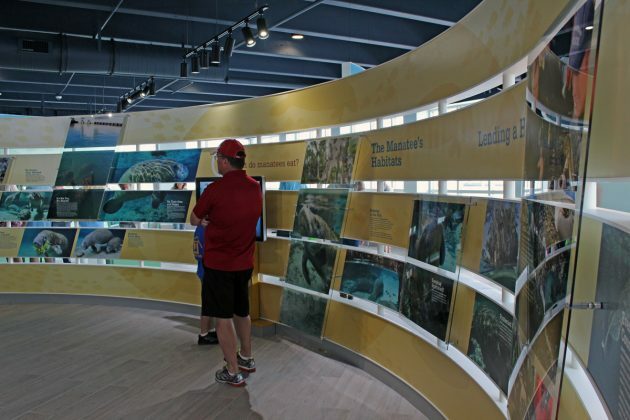 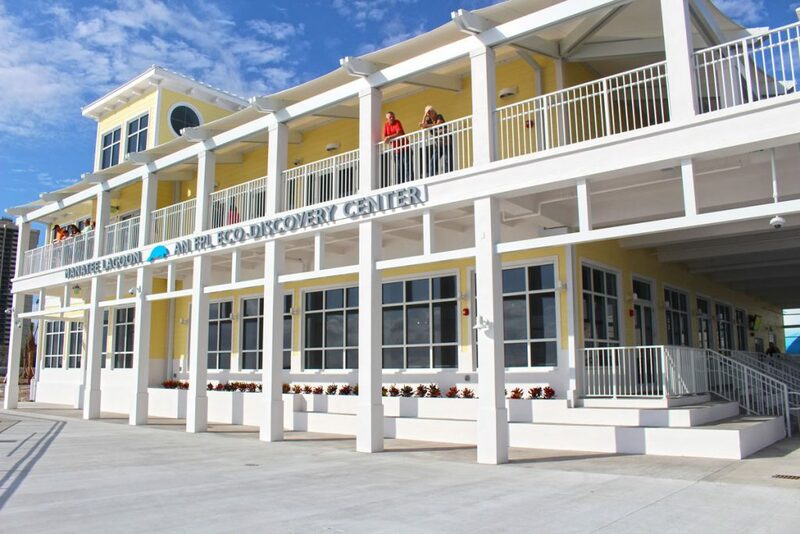 The Manatee Lagoon Center also offers free admission, two levels of exhibit, meeting space, a boardwalk to observe manatees, picnic areas, pavilion, café and gift shop. 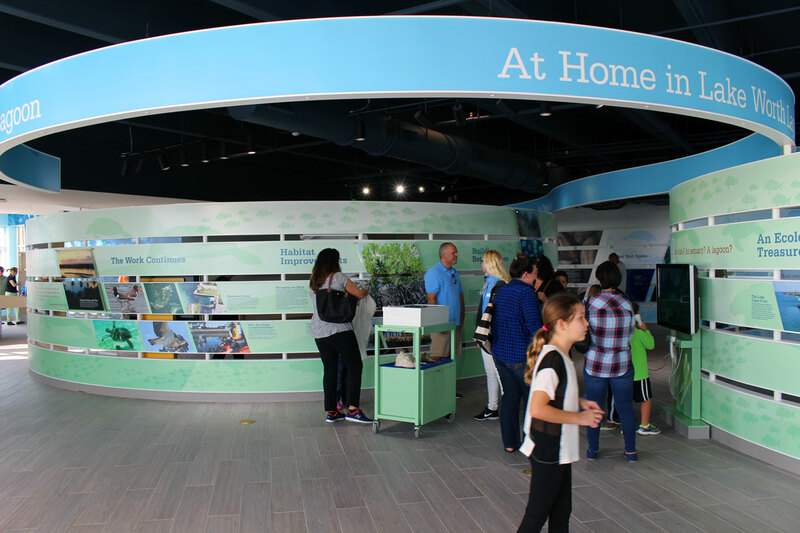 Visitors can enjoy galleries highlighting manatee anatomy, migration patterns and the ecosystem of the Lake Worth Lagoon. The Manatee Lagoon sits on five waterfront acres with sweeping vistas of the Intracoastal Waterway. It offers free admission and dynamic, engaging interactive exhibits for visitors to learn about the endangered and unique Florida manatees, and the flora and fauna of the ecosystem the inhabit. Open Tuesday through Sunday from 9 a.m. to 4 p.m.